Continue on to see the listed notes for update 1.07. - Fix for the user controlled player, to make sure his starting direction has the correct angle and insures he is on the right path to make any potential catch. This adjustment should help with bad angles to the ball, which led to potential misses. - Fix for an issue where the shortstop wouldn't shift when using the Extreme Shift setting, (with runners on first and two outs). - Fix for player head tracking, during pickoff attempts, for certain pitchers. - Minor adjustments to check swings and pulling back bunts at the last moment. - Adjustments to the attribute values of Road to the Show players to balance regression. - Fixes to clothing clipping in Road to the Show. 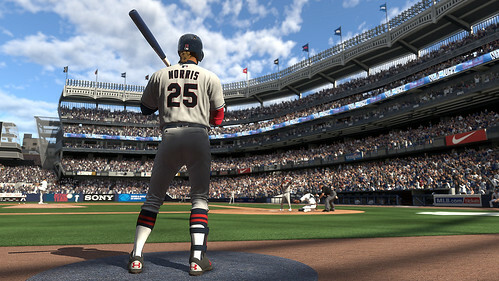 - Fixes to subtle audio queues throughout gameplay: Music reverb through the PA systems / Delay the strike out music to play with more realistic timing / stolen base music queues were playing after strikeouts. Theses queues have all been optimized. - Fixes for two rarely encountered year to year crashes. - Fixes for several consumer reported crashes. - Various other minor bug fixes and adjustments throughout the game.